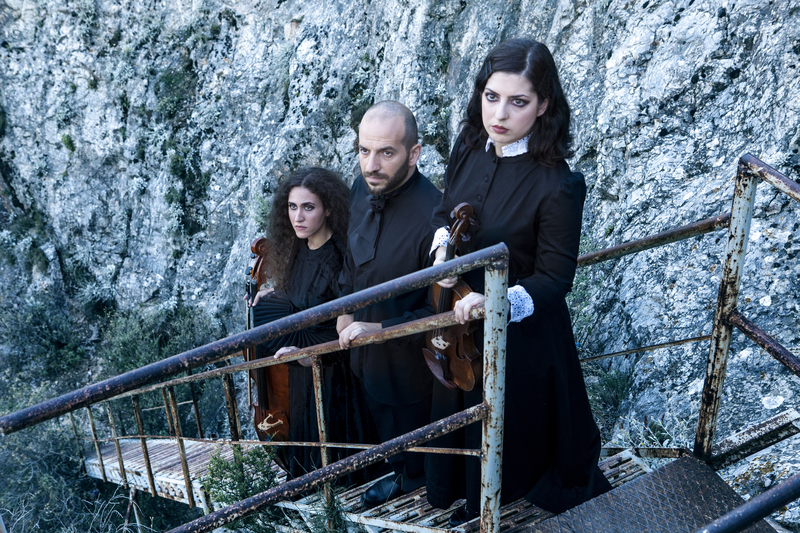 A piano trio - 3 soloists with a comon vision to approach classic pieces of the worldwide musical literature in a fresh and energetic way - with Dimitra Triantafyllou on the violin, Petros Bouras on the piano and Marina Kolovou on the cello form the Galan Trio. 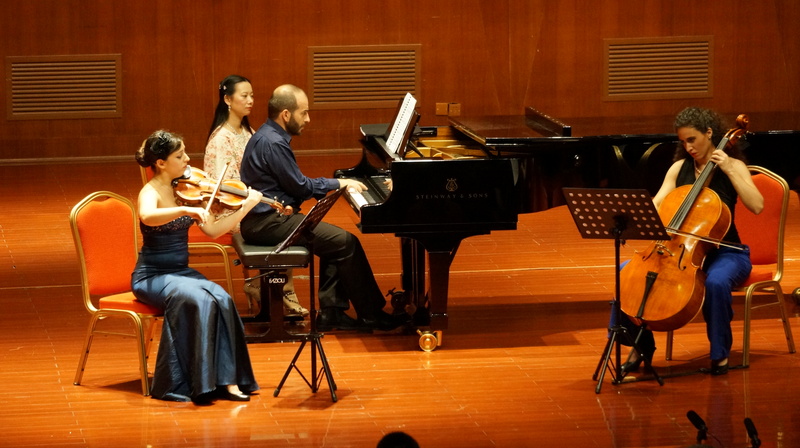 Their repertoire consists of classic pieces, among other L.v. Beethoven, J. Brahms, D. Shostakovich, F. Schubert and at the same time newly composed music by contemporary composers, such as D. Haladjian, V. Kennedy, T. Bramel, H. Weiss and more, dedicated to Galan Trio. In an attempt to express the substance of these pieces through their personal perspective and subsidiary the musicians are using different forms of art such as video-art, lighting and dancing. Parallel, the Galan trio instrumentalists have been collaborating since its formation with great vocalists & performers in the music scene, such as Alexandra Gravas (Mezzo-Soprano), Vassia Zacharopoulou (Soprano), Roxani Papadimitriou (Soprano) and the American flutist Jessica Quinones. Works by D. Shostakovich, M. Theodorakis.